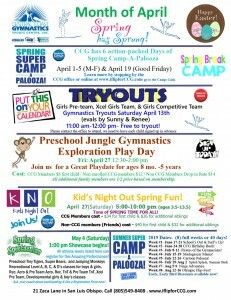 Performance cheer is a recreational cheer class for 5-12 year olds that teaches all the basics of cheerleading. The athletes will learn cheer motions, jumps, stunts, tumbling and a dance. They will perform at events in the gym and locally around the town. 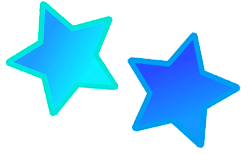 Tumble 1 is the first level of tumbling where the athletes learn basic tumbling skills. Not only do they condition and stretch so they are able to tumble, but they learn forward and backward rolls, handstands, cartwheels and round-offs. Once they get those skills down, they will learn back and front walkovers and then start back handspring drills. Each skill builds on the skill before so all previous skills are necessary to be able to learn the next skill. Each athlete will move at their own pace. Tumble 2 builds off of tumble 1, therefore the athletes should have mastered all the skills in tumble 1 first before they take on tumble 2. Tumble 2 works on back handspring drills as well as round off back handspring drills. 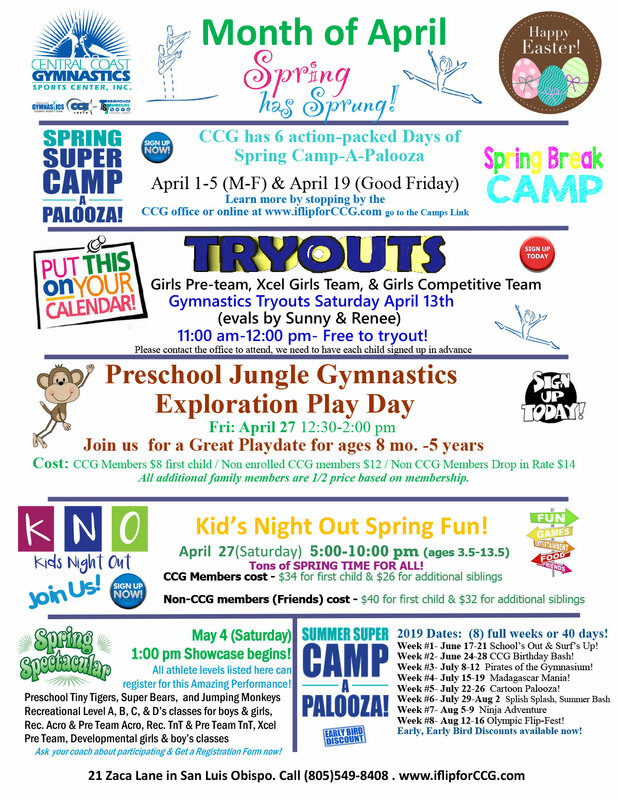 Once they master the back handspring they work on connection skills. When athletes are ready, the coach will start them on tuck drills. Tumble 3 builds off of tumble 2, where athletes should have all the skills in tumble 2 mastered first before they enter tumble 3. They should have round off multiple back handsprings, standing multiple back handsprings, as well as an understanding on how to tuck. They will start front and back tuck drills in this class as well as aerials. Where athlete have mastered a round off tuck, front tuck and aerial. 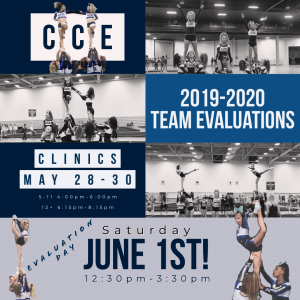 They are then ready to work on specialty level 3 passes, connection skills to tucks, and standing tuck drills. Tumble 4 builds off of tumble 3, where athletes have mastered all level 3 skills and can do a standing tuck off panel by themselves. 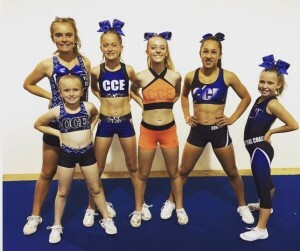 They will work front tuck step outs, layouts, tumbling out of a back tuck, whips, standing tucks on floor, and start arabian and twisting drills. 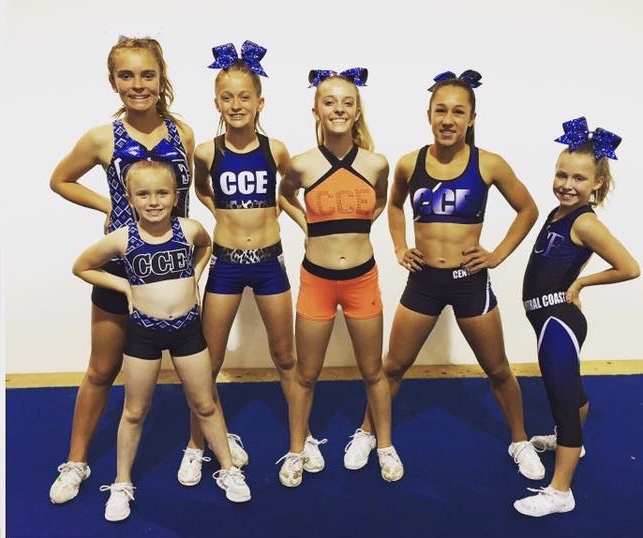 Tumble 5 builds off of tumble 4, where athletes have mastered all level 4 skills. They will work on standing and running fulls, arabians, and all sorts of connection passes, front and back. 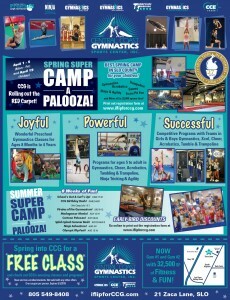 *These cheer tumbling classes are mandatory for our competitive teams, and open to the public as well! Level placement is decided pending evaluation by the cheer program director. In each class we work on the foundation of tumbling with basic skills and level appropriate drills, as well as conditioning and flexibility. 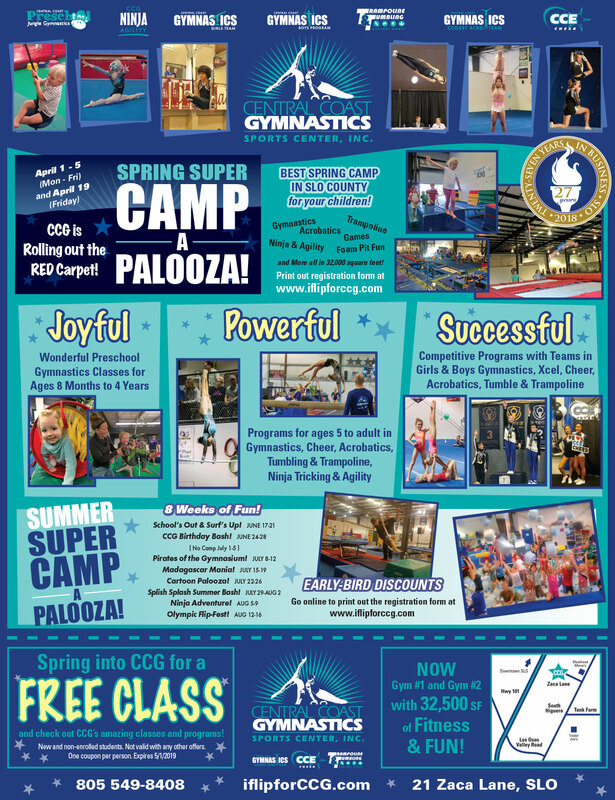 This is a great option for those who want to continue to improve their tumbling skills, or those who are interested in cheerleading. 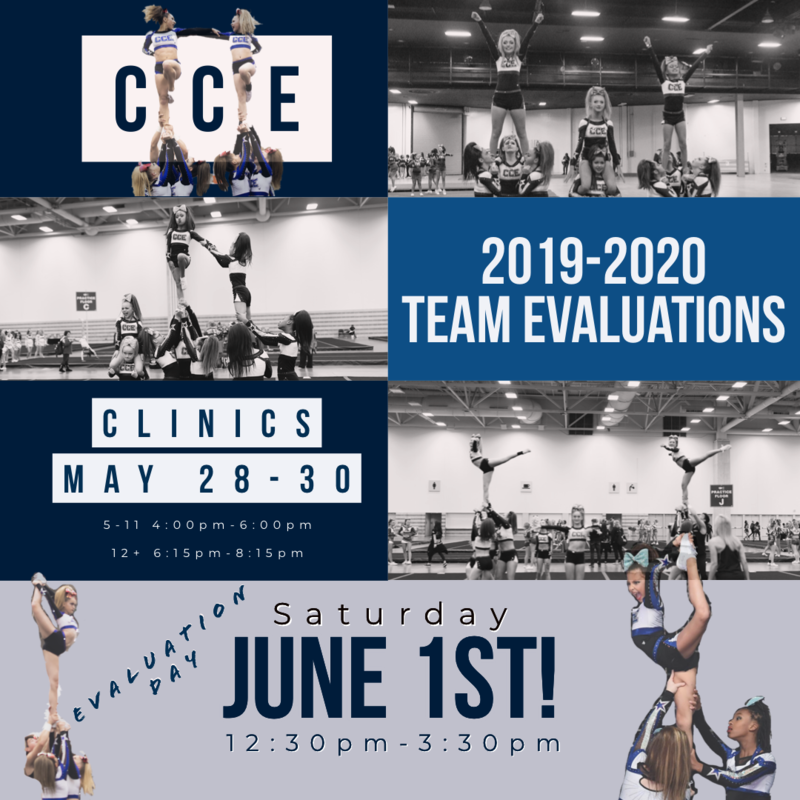 CCE Team Evaluations for the 2019-2020 Season are coming up!